A Couple of Puppets is Goat on a Boat's resident puppet company. Liz Joyce and her puppets often take the stage with a variety of well-loved fairy tales and original puppet plays. Gustafer Yellowgold’s Show is a multi-media performance of live music, animated illustrations and storytelling. With its unique crossover appeal, the show has been the wild-card opening act for Wilco and The Polyphonic Spree. In addition to touring nationally to arts centers, children’s museums, theaters and music venues, Gustafer has ventured abroad for performances in the U.K and even Korea! The Dolly Wagglers strive to bring a fresh crudeness and entertaining humility to the world of puppetry. They are constantly at work on cardboard operettas, crankyshows (low-tech scrolling pictures), and cantastorias (picture shows). Brad Shur, founder of Paper Heart Puppets has toured around the US and beyond with original works of puppet theater designed to wake up your imagination. As a puppet maker, performer and teaching artist, Brad has been working with puppets since 1999. Paper Heart Puppets was founded in Poughkeepsie, NY in 2017. Chinese Theatre Works is a non-profit organization based in New York City. Our mission is to preserve and promote the traditional Chinese performing arts (including opera, shadow theatre, puppetry, dance and music). Talking Hands Theatre is committed to entertaining children with puppets and storytelling by engaging their minds and their imaginations as well as their senses of humor. We perform in schools, libraries, day care centers, parks, theatres, hospitals, and homes throughout New England. SARAH FRECHETTE is a puppeteer, artist and arts educator. Sarah studied marionettes in Germany with Legendary Master Puppeteer Albrecht Roser. She has performed with marionettes across the U.S., Germany, Austria and China. She earned her BFA from the University of Connecticut's Puppet Arts Program. CRABGRASS PUPPET THEATRE is an award-winning touring puppet theatre founded in 1982 by Jamie Keithline and Bonny Hall. Jamie and Bonny met in 1979, while performing in Laughingstock!, a puppet-and-actor production at the University of Connecticut in which Bonny played Jamie's father. They have been working together ever since! When Santa was young and needed a job, no one was looking for a man in a red suit to deliver gifts on Christmas. So Santa tried just about everything -- from a chimney sweep to a postman to a circus performer. But none of these worked out. It wasn't until he met a group of elves who helped him use all his special talents, that Santa was able to find his dream job. Barefoot Puppet's award-winning puppet shows tour all over the East Coast (and beyond!) to theatres, schools, libraries, children's museums and more. Their performances bring to life world folktales, classic tales with a twist and original works with imaginative scripts that are well researched and fun! The PuppeTree’s mission is to promote an appreciation of the performing arts, with an emphasis on children’s theater and puppets, among diverse audiences. These audiences include-but are not limited to-school age children, special needs children, at-risk youth, senior citizens and intergenerational groups, other adults and underserved communities. 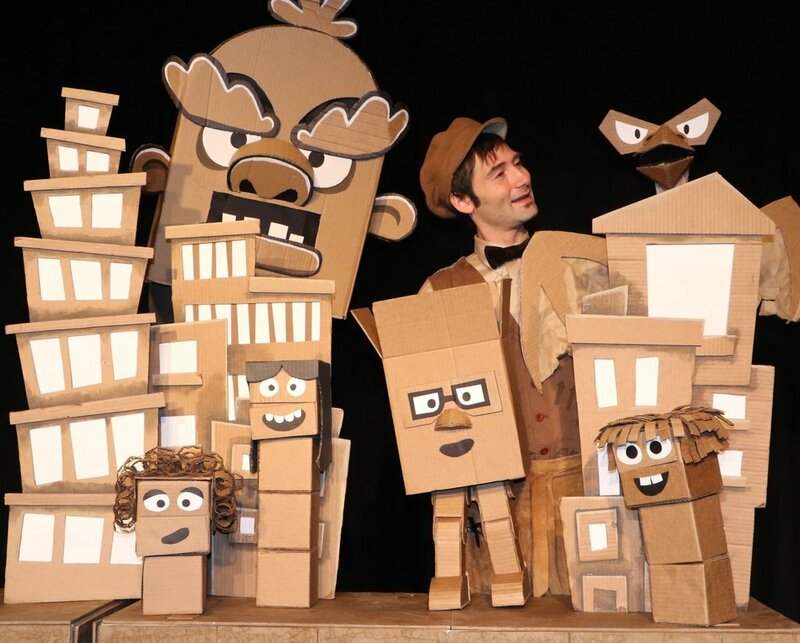 Based out of New York City, WonderSpark performs puppet shows at birthday parties, libraries, schools, theaters, Jewish holidays, celebrations, and more. The best part is – we’ll perform right in your living room or venue of your choice. Steven is a professional puppeteer involved in the application of puppetry to entertainment, education, industry and advertising. With the assistance of woodcarvers, painters and costumers, he has designed and built a remarkable variety of more than 400 puppets. Steven studied his craft with Master Puppeteer, Bil Baird, and in 1977 he formed The Puppet Company. How do you cheer up when life gets you down? What does it mean to be yourself? 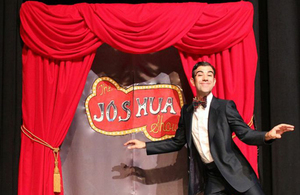 When Mr. Nicholas, the sock puppet, makes an unnerving self-discovery that causes him to spiral down a path of loneliness and despair, his soul mate Joshua teaches him to celebrate his differences in this quirky show full of songs, comedy, whimsy, abundant joy, and just a smattering of tap dancing. CactusHead Puppets is a puppet company based in the Pioneer Valley of Massachusetts. We are a source of fun and slightly silly shows for all ages.